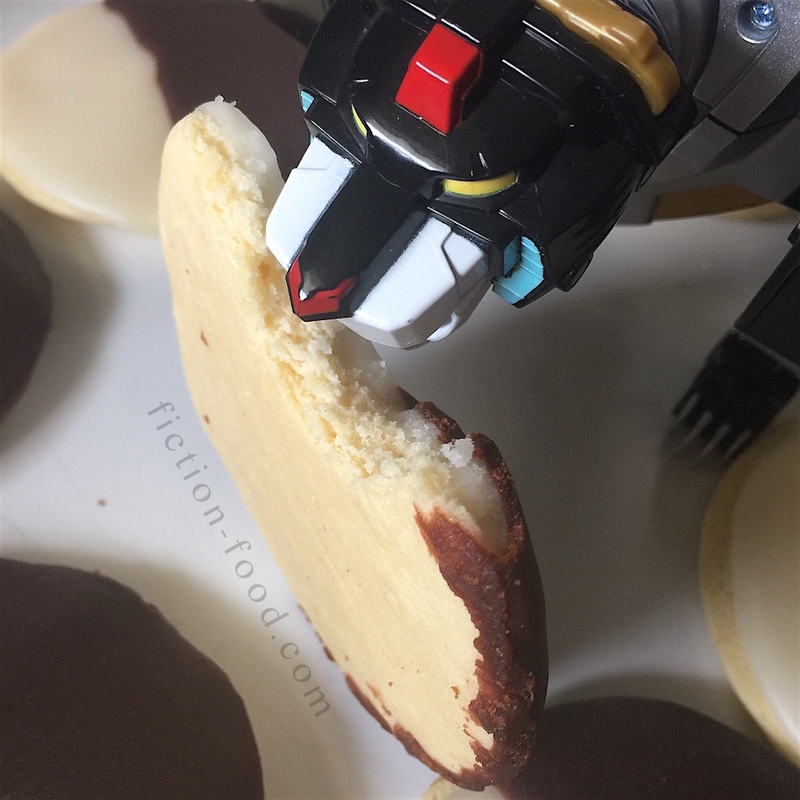 Happy birthday today to Takashi Shirogane, AKA Shiro from "Voltron: Legendary Defender"! 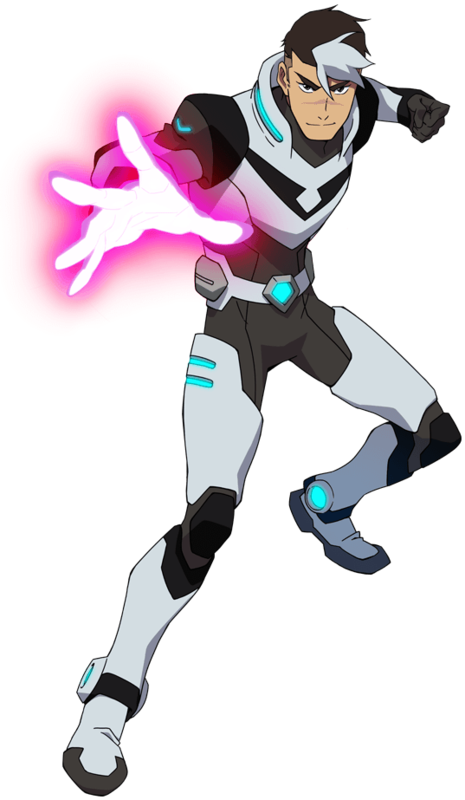 Shiro (voiced by Josh Keaton) is actually a Leap Year baby (Feb. 29th), so there's a joke that he's really only 6 years old ;). 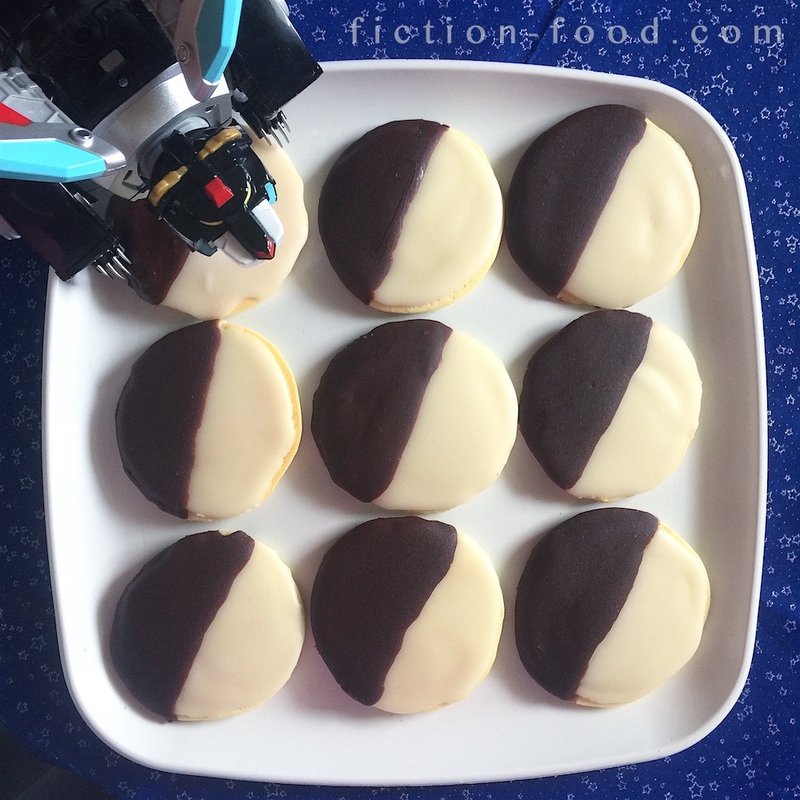 Before Shiro's birthday was announced, I had in mind to do these "black & white" cookies, but the birthday made the perfect occasion (like the roll cake pops for Hunk's birthday last month)! 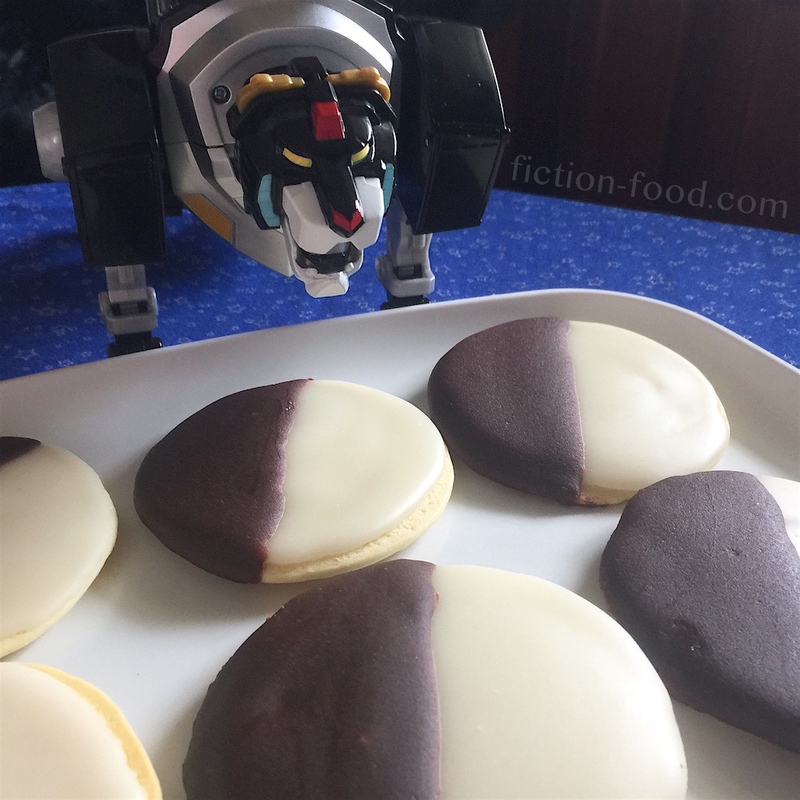 At first glance, these cookies match Shiro because of his hair; black with the little white tuft in front, the white appearing because of his ordeal at the hands of the Galra (no pun intended). On another level, they represent his name "Shiro" which means "white" in Japanese and the fact that he's the paladin of the black lion. 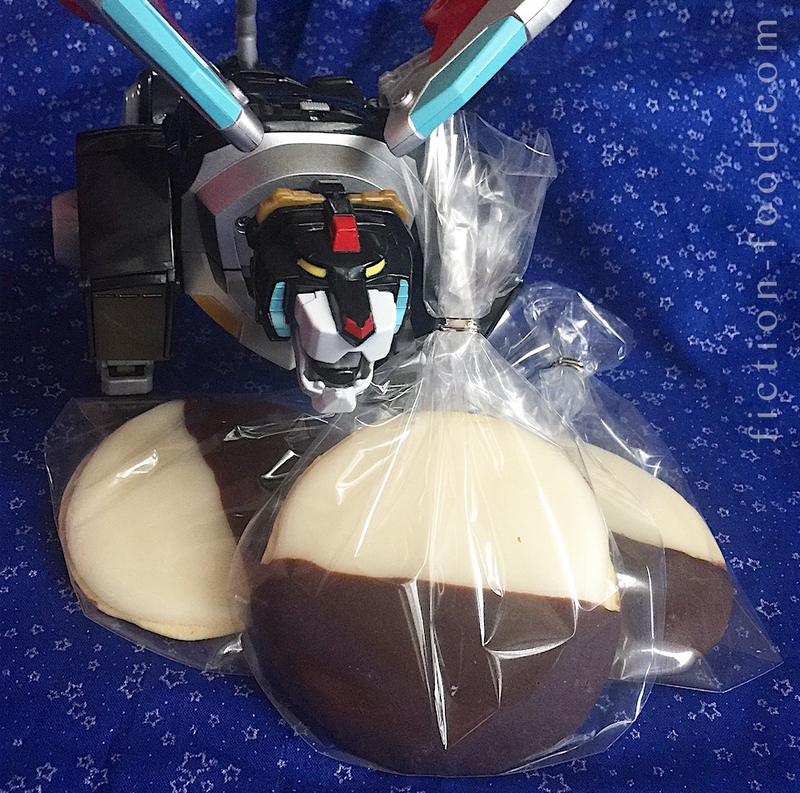 Going deeper still, the duality these cookies present alludes to Shiro's kind, calm, positive, and uplifting personality in juxtaposition to the darkness he experienced during his internment with the Galra, the lasting effects it has had on him (at the end of season 1 we even get a glimpse of a splinter of Shiro's personality brought on by Haggar's magic that fans have dubbed "Kuro" which means "black" in Japanese). Note: The cookie part of recipe below is adapted from Epicurious. It makes about 8-9 cookies (but you can make your cookies bigger or smaller to get more or less). 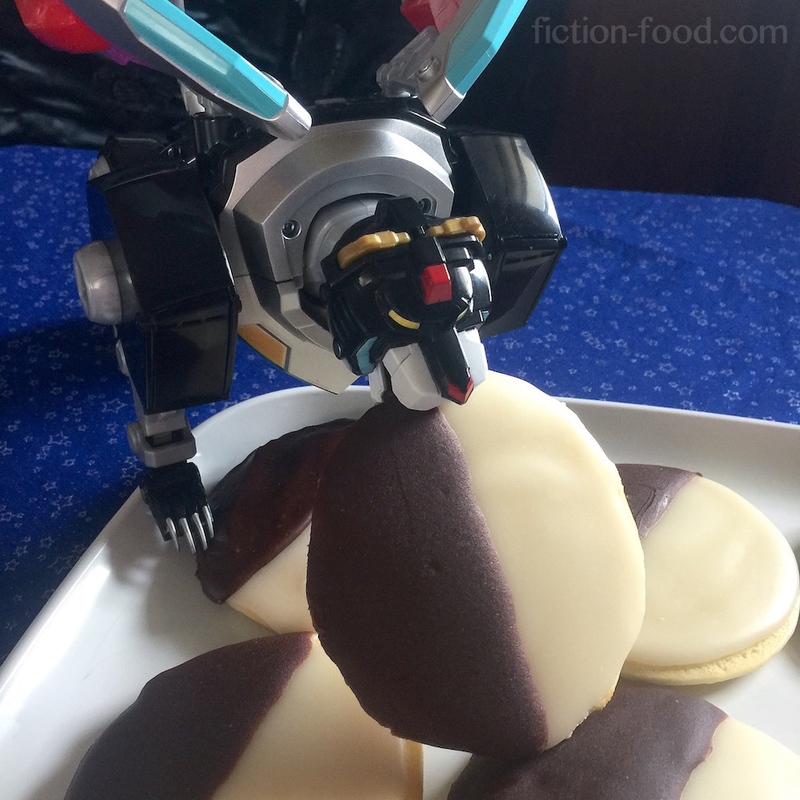 The next time I make these cookies (I made a few batches testing these out and couldn't handle anymore in my house!) I'm going to experiment with adding an ounce or two of white chocolate for the white side. 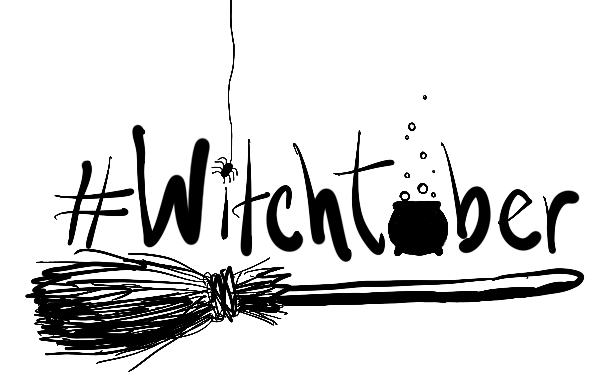 That's not how it's traditionally done, but I think it would add a nice flavor and opacity. If you'd like to try it, let me know how it goes! 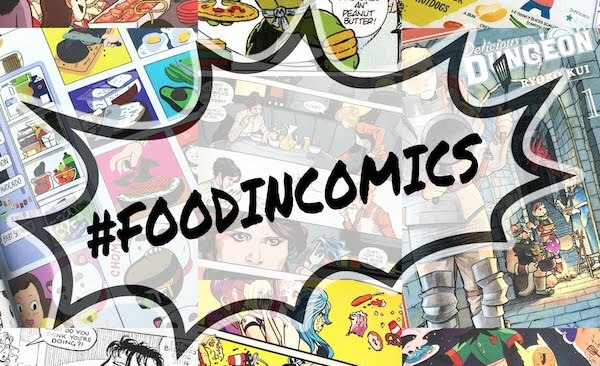 When I do do it, I'll add an "EDIT" to the recipe below. 1. Cookies: Pre-heat your oven to 350ºF & grease a large baking sheet (or line with silat or parchment). In medium bowl, whisk together the flours, baking powder, & salt, & set aside until needed. In a liquid measuring cup, stir together the buttermilk & vanilla (if you don't have buttermilk, make some by putting 1 tsp. lemon juice in the measuring cup & then adding enough regular milk to make 1/3 cup. Stir & let sit for about 5 mins). 2. In a mixing bowl, cream the butter & granulated sugar on medium speed for about 3 minutes. Add in the egg & mix until smooth & fluffy. Beginning & ending with the flour mixture, alternately add in the flour & milk, combining well after each addition. You should come up with a very nice, light & fluffy batter. 3. Using a 1/4 cup scoop, create round mounds of batter on the cookie sheet about 2" apart (you can fit 8 if you do rows of 3, 2, 3). Slide the tray into the oven on the middle rack & bake for about 12-13 minutes, or until fully set & baked, but not yet browning. Remove from the oven, let cool for a few minutes, & then transfer to a cooling rack to cool completely. 4. Icing: Line a large tray with foil & place it under the cooling rack. 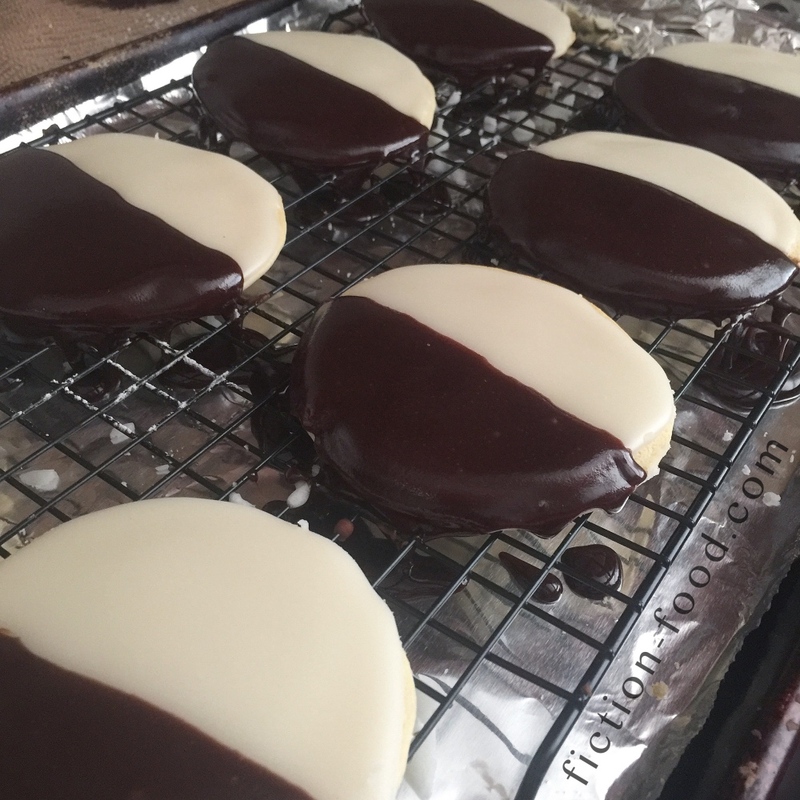 Flip the cookies so that their flat sides are facing up. Finely chop the unsweetened chocolate & melt via double boiler (chocolate in a pot set over a pot of steaming water on the bottom. If you can find Nestle's pre-melted unsweetened chocolate pouches, go that route! So much easier – no melting step required!). 5. In another small pot, bring the water & corn syrup to a boil. Remove from heat, add the vanilla, & sift in the powdered sugar, a little at a time, whisking until smooth. You want the mixture to be a bit thin, so add a touch more water if necessary. Quickly drizzle & spread half of the icing over only half of each cookie, letting any excess drip onto the foil below. 6. Quickly add the melted chocolate to the remaining icing, & then drizzle/spread it on the other half of each cookie. If the icing is no longer pourable, simply stir together a Tbsp. of super hot hater with a scant Tbsp. of syrup & then vigorously whisk in a tiny amount of it at a time into the icing until you get the consistency you need. Let the cookies sit so the icing can solidify & then serve! Store in an airtight container, with waxed paper in between if you need to stack them. If you'd like to give them as gifts, they fit perfectly in candy apple-sized clear gift bags that you can find at places like Michael's (see below).